The Consumer Financial Protection Bureau (CFPB) published the 2014 edition of its Annual Report of the CFPB Student Loan Ombudsman on Thursday, detailing many of the complaints it has received from student loan borrowers and calling for lawmakers to approve better financing options. According to the latest data from the Department of Education, there is a total of $1.2 trillion in outstanding student debt in the United States. As this blog reported last month, the default rate on those loans is at 13.7 percent. According to the CFPB's report, most of the 5,300 complaints received were from consumers who had run out of options to repay their loans, and the Bureau agrees that private student lenders should do more to increase transparency and provide alternatives to borrowers. "The public went to extraordinary lengths to assist many student loan industry participants when they faced their own distress, pumping more than $100 billion into the system through the ECASLA program," said CFPB student loan ombudsman Rohit Chopra during a conference call. "The fact that many of these same financial institutions are refusing to work with borrowers looking for help just adds insult to injury." 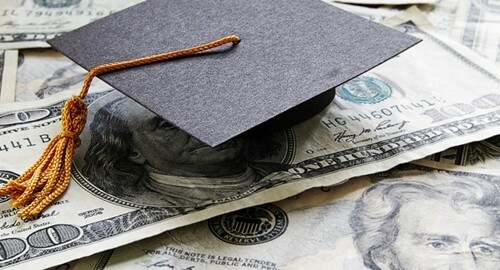 While the creation of the CFPB in 2011 was a significant step toward ensuring that borrowers are treated fairly, the student loan market has not been regulated the way that the mortgage market was in the wake of the housing crisis, and the Bureau is now recommending that lawmakers consider applying some of the same policies to student debt. Student loan management software helps borrowers and lenders alike settle on the ideal terms for a loan and sets amortization schedules to ensure automatic and on-time installment payments and reduce the risk of default.